I was happy to see my CYBILS nomination for Middle Grade Fiction, THE TRUTH AS TOLD BY MASON BUTTLE, was also recognized as a finalist for The National Book Awards. Find all the National Book Finalists here. It’s their 69th Annual Awards! BNKIDS Blog is an extension of Barnes & Noble. They come up with some interesting features on books. 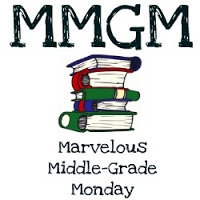 Here’s a recent one on 8 Great Middle Grade Coming of Age Novels. A fun article on Kate DiCamillo celebrating the release of her newest, LOUISIANA’S WAY HOME. That’s all for now. I’ll be back Friday with a review of FAKE BLOOD.. The article about Kate DiCamillo was fun.I have read a couple of the books on the 8 Great list. They are good choices. Thanks for the post. Another great post and a good reminder for me to get my hands on THE TRUTH AS TOLD BY MASON BUTTLE! Enjoyed the article on Kate DiCamillio. I have read and reviewed her latest novel, and will my review soon. I must read The Truth as Told by Mason Buttle!